﻿At Flourishes Timeless Tuesday Challenge, Barbara is challenging us to use the spotlight technique. 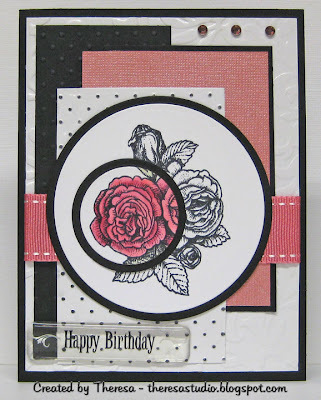 I made my card with black and white plus pink for a color challenge but got the date wrong and will enter just for Flourishes and a sketch challenge at Friday Sketchers ( see sketch lower right). I used a stamp from Flourishes that I stamped twice and only colored the section that I spotlighted with Copics. 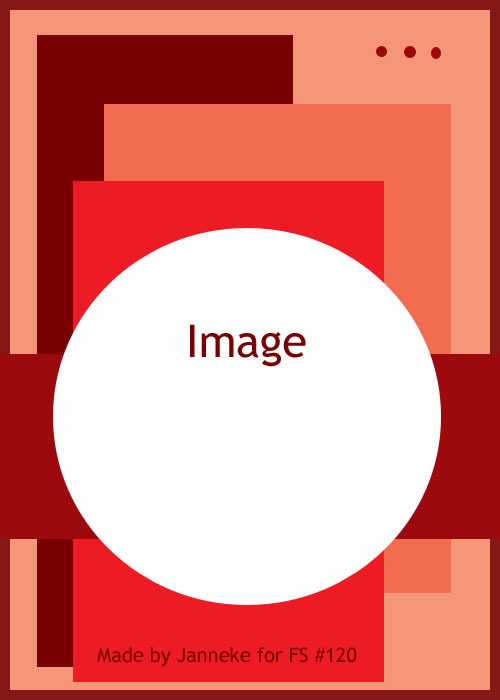 Cut out the images with circle dies and matted on black CS. Used black for the base card and layered with embossed mat of white glossy, and strips of black, pink, and white. Embossed black and white strips and highlighted dots on white with black ink. Used ribbon, bling, and stick on sentiment to complete layout. I will be sending this card to Operation Write Home which you can check out here. I have placed a white liner inside the card so that the user has a place to write a message. Speedy the Cat's Friends Challenge: Make and mail a birthday card for OWH! Phindy's Place Challenge: Use any Image and make a card for OWH. I probably would have done other colors for this card but stayed with the black, white and pink since I had finished when I discovered I had looked at the wrong week for the color challenge. Wrong week or not it is gorgeous! Beautiful work with the spotlighting on this gorgeous rose!! Thank you so much, Theresa, for creating this wonderful birthday card for Operation Write Home and the Friends of Speedy the Cat's OWH birthday challenge! I love it in pink,black and white! Gorgeous GF! Awesome spotlighting!! Thanks for playing with Speedy's Friends! Thank you for joining us this week for the OWH Challenge at Phindys Place! Hope you'll come back next week and play with one of Phindy's Phabulous images! Gorgeous card Theresa, love the beautiful rose. I love the spotlighting!! Beautiful card!! Thanks for supporting the OWH and Speedy's Friends!